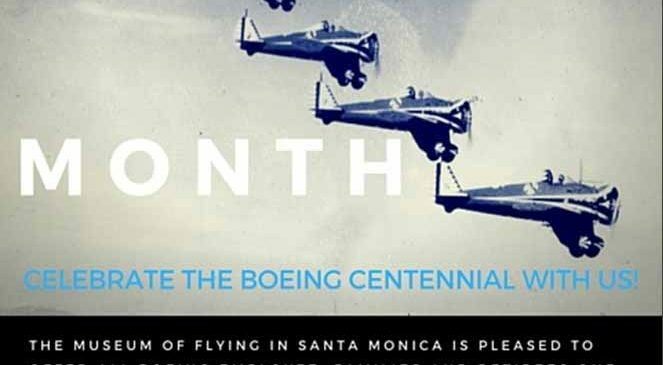 Celebrate the Boeing Centennial Month with us! Museum of Flying > The Log Book > Museum of Flying > Celebrate the Boeing Centennial Month with us! 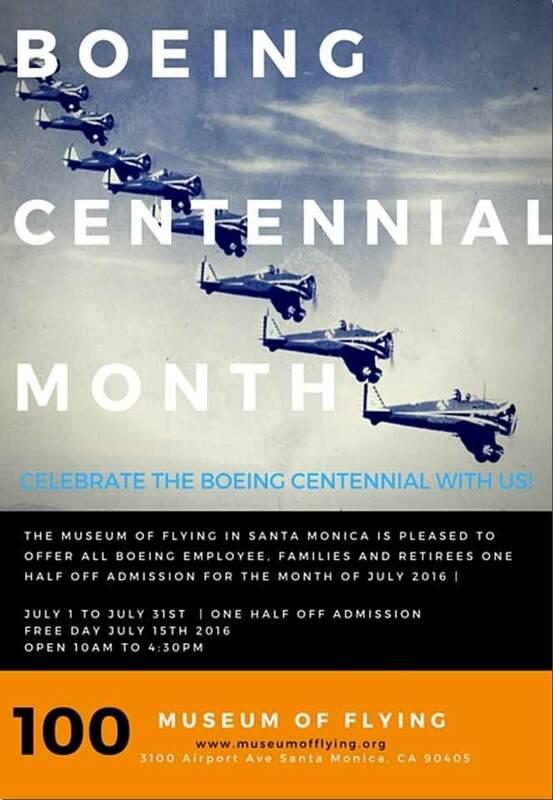 The Museum of Flying in Santa Monica is pleased to offer all Boeing employees, families, and retirees, half-off admission for the month of July 2016!